We take pride in having the highest quality auto glass chip repair that is available in Los Alamos. Apex is a standard above the rest for the simple reason that we put our customers first. We work diligently to have each one of our customers 100% satisfied with every service we perform! Apex Auto Glass is cost effective, we are friendly, work fast and are always on time! We will even go onsite to you, to take care of all your car window or windshield glass chip repair needs! 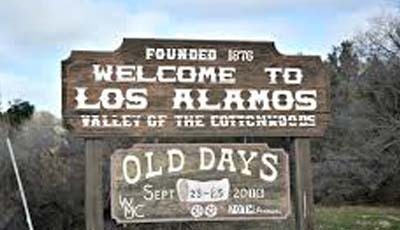 Onsite service in Los Alamos! Worried about the time it will take out of your busy schedule to get that chip or crack repaired? Don’t be! 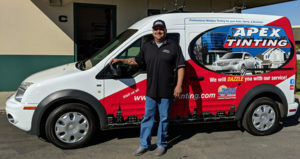 We will come right to you, at your home or business in Los Alamos! Most repairs can be made right there at your location so you won’t have to miss work or be inconvenienced by coming to us. We don’t want you to let a small inexpensive chip become larger, more costly or even dangerous by putting off what can easily be taken care of now! Can my car’s glass chip be repaired? You will be very glad to know that the professional technicians at Apex are able to repair almost all chips and cracks! Take a look at your chip, is it smaller than a quarter? Is it anywhere on the windshield except in the line of the driver’s sight? If you answered yes, then we should not have any issues repairing it on the spot! In case your auto glass chip is larger or has long cracks, or driver visibility is in question, then we will need to assess it. But have no fear, we will discuss your options with you and take care of the problem promptly and efficiently. Only 15 minutes for most car glass chip repairs! Time issues should never be the cause that keeps you from making a wise decision about your auto glass chip. Most chips and cracks take only 15 minutes or less to repair! What starts off as a small chip or crack can often spread, making it unsafe and costing more to take care of. So call now and let us help you while your car glass chip is just a quick 15 minutes to repair! Maybe you may need your windshield replaced? Contact us today and we will set up a free windshield assessment appointment!